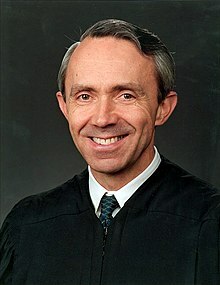 David Hackett Souter (/ˈsuːtər/; born September 17, 1939) is a retired Associate Justice of the Supreme Court of the United States. He served from October 1990 until his retirement in June 2009. Appointed by President George H. W. Bush to fill the seat left by William J. Brennan, Jr., Souter sat on both the Rehnquist and Roberts courts and came to vote reliably with the court's liberal members. He was the only Justice during his time on the Court with court experience outside of a federal appeals court. He served as a prosecutor (1966–1968), in the New Hampshire Attorney General's office (1968–1976), as the Attorney General of New Hampshire (1976–1978), as an Associate Justice of the Superior Court of New Hampshire (1978–1983), as an Associate Justice of the New Hampshire Supreme Court (1983–1990) and briefly as a Judge of the United States Court of Appeals for the First Circuit (1990). Following Souter's retirement announcement in May 2009, President Barack Obama nominated Sonia Sotomayor as his replacement. ↑ Gerstenzang, James; Lauter, David (July 24, 1990). "Little-Known Judge Named to Replace Brennan on Court : Judiciary: David Souter served as New Hampshire justice and attorney general. He has no clear record on abortion". Los Angeles Times. Retrieved 31 December 2016. ↑ Barnes, Robert; Shackelford, Lucy (February 12, 2008). "As on Bench, Voting Styles Are Personal". The Washington Post. ↑ "Press Release". Supreme Court of the United States. February 13, 2009. ↑ Baker, Peter; Zeleny, Jeff (May 1, 2009). "Souter's Exit to Give Obama First Opening". The New York Times. ↑ 5.0 5.1 "David H. Souter". The New York Times. This page was last changed on 31 August 2017, at 00:04.